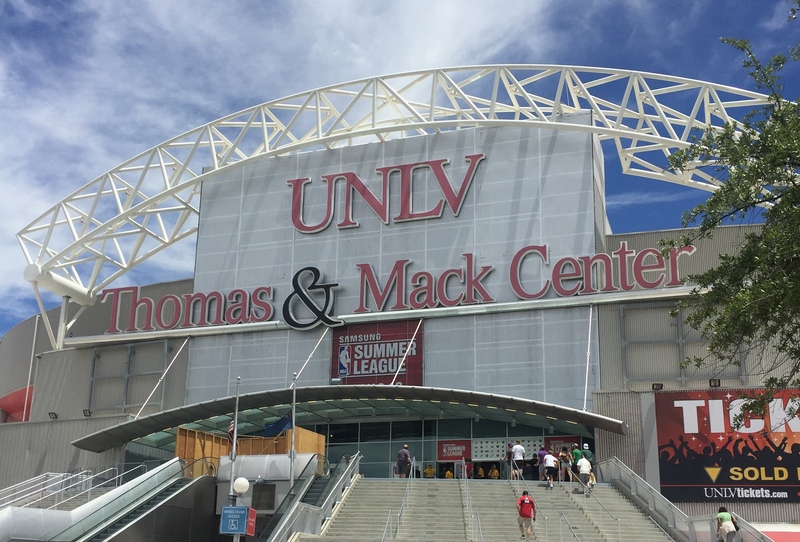 After a disappointing offseason, where the organization missed out on key free agents, the Brooklyn Nets took a step in the right direction at the NBA Summer League in Las Vegas. While the team posted a 3-2 record, that is not the important thing. The Nets were able to give their youth ample playing time and had a chance to adapt to the Kenny Atkinson system in the process. Let’s look at the 3 takeaways from the Nets trip to Vegas. Sean Kilpatrick will contribute a lot this year. Kilpatrick, who has bounced around the league and the D-league since going undrafted in 2014, solidified his spot on the Nets roster last year with his strong play late in the season. In this year’s summer league he wanted to make his name more known around the league, and he did that exactly. Many point to his scoring ability, but what goes unnoticed is his leadership and the example he provides to other young players. “Sean Kilpatrick helps me out a lot, and just being there and being a guard who has been in the league, he kind of knows the game well,” second round pick Isaiah Whitehead said after his first game. Knowing the game well is unerringly what Kilpatrick did during his time in Vegas. Averaging almost 20 points per game, while shooting close to 50% from the field is what Nets coaches are extremely excited about. Look forward to these numbers transitioning to the season, as Kilpatrick will play many minutes next to Jeremy Lin. Isaiah Whitehead is not ready yet. The 42nd overall pick out of Seton Hall had an up and down summer league outing. Whitehead posted seven turnovers in his first game against the Cavs, and when asked about them after the game he attributed most of the blame to nerves and the speed of the game. “I would probably say it was a mixture of both -- my first game out there. I mean it was definitely some nerves there,” he said. The turnovers declined a bit in the next few games, but the poor shooting percentage failed to improve. Whitehead shot poorly -- 36% in 5 games -- and did not score more than 10 points in a single game. People typically don’t expect much from a second round pick coming into a season, but for a guy who was highly touted out of high school and the best player on a Big East champion, one would have hoped for more in Vegas. Expect a lot of D-league play for Whitehead this year, especially after the team announced they signed Randy Foye on Friday. Hollis-Jefferson and McCullough find themselves after injury plagued rookie seasons. Sophomores Rondae Hollis Jefferson and Chris McCullough both missed more than 50 games last year due to injuries. During this year’s summer league, they both played with a motor and with the notion of dominating the field. Jefferson was a pest on the defense end, posting more than three steals per game, and showed his scoring ability as well, averaging 10.4 points per game. McCullough did pretty much everything in Vegas -- points, rebounds, steals, blocked shots -- and even gave the fans emphatic dunks. He scored in double figures in three of the five games and most importantly looked to be a player the Nets can rely on during the season. Anticipate a lot of Jefferson and McCullough in the frontcourt for the Nets this season.